We would like to pay tribute too, and thank our two heroes Johan Stråhle and Thomas Norgren for their fantastic effort! 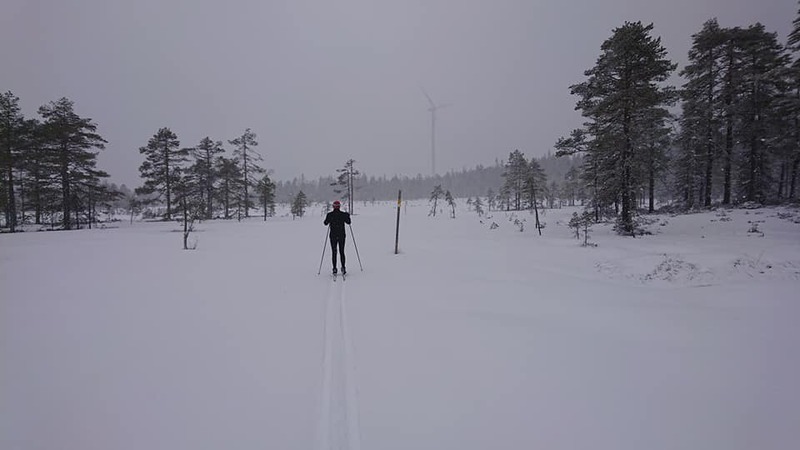 Yes, you read correctly, Johan who started his own skii cross-country event was contacted by Thomas Norgren who wanted to come along and that was lucky! We are convinced that the famous Vasaloppet is a tough challenge and a real achievement by those who choose to face this challenge, but we dare say that what Johan and Thomas chose to expose themselves to for raising money for Happy child and our children at Barnhem Muang Mai is an even bigger achievement as they had to open their own tracks for the first 60 kilometers because of the snowfall. If you followed the event you already know that they started at the same time as Vasaloppet at 08.00 am and that they had to finish when it got dark ten hours forty minutes and 76 km later. Johan and Thomas are really glad and they really should be! We are deeply impressed and extremely grateful for what they have done for us. We also want to thank all of you who answered to the challenge and helped Johan and Thomas to make it. Thanks to you, they were able to see it through and thanks to you, it was worthwhile as the event raised SEK 56,000! Much more than any of us had dared to hope for. “Thank you everyone who cheered us up today. We felt your support all the way. I asked for a challenge that matched your response, and we got it by all means. 10 cm new and wet snow that fell profusely, strong wind that made the tracks disappear. We had to open the tracks ourselves in the wet snow and changed turns going first for about 3 km at a time. Without Thomas Norgren joining me, I would not have come very many kilometres. After just over 60 kilometres in the late afternoon and as we started to wonder how more further we would be able to manage, suddenly a piste machine from Ludvika municipality showed up and we got perfect fine tracks. The speed was doubled, we didn't even have to stack downhill and we suddenly realised that we would be able to make it all the way. However, it got dark before we skied all the 90 kilometers and we had to stop at just over 76 km. We are both immensely content with the day and the fundraising for Happy Child and the children at Barnhem Muang Mai. You have answered our challenge way over what we dared to hope for. I cannot mention all of you who contributed by name, but it is you all who supported the children that made this important. However, I especially want to thank Thomas for companionship, track assistance and pepper all the way today. Without you, I would have given up halfway. Really fun to get to know you. Courageous of you to ask if you could join. Helena for all support during the day. Per, Katarina and Carina for the public support at location. Wonderful! Ludvika municipality for the piste machine that appeared from nowhere and fixed the tracks when we were close to give up.